Clergy praying at Father Izyk's funeral, held at the Blessed Virgin Mary Church, Rossdale, Manitoba, June 15, 1995. In front: Deacon Stefan Tyrawski. 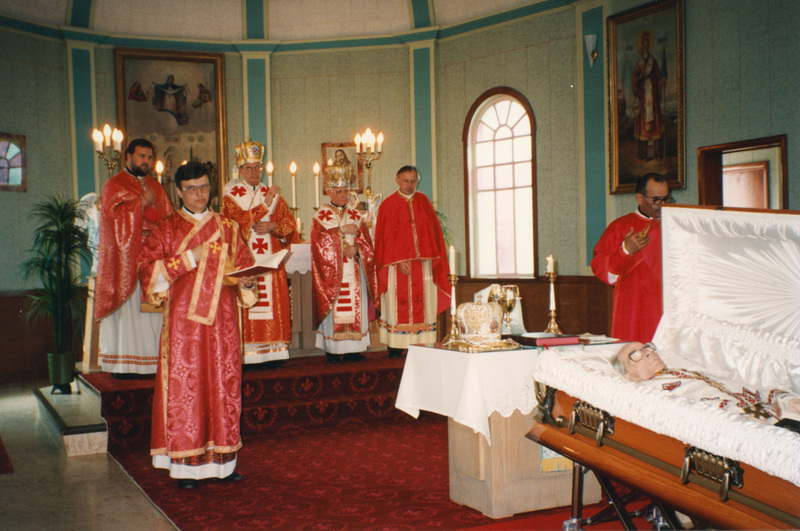 In back, from left: Bishop Stefan Soroka, Metropolitan Michael Bzdel, Metropolitan Emeritus Maxim Hermaniuk, unidentified, and unidentified.